West Virginia business owners who are facing customers who are past due paying invoices should consider hiring a collection agency to recover payment. Many small businesses will attempt to collect on past due customers themselves but find that it is a time consuming and frustrating task. After calling, e-mails, and sending payment reminders; many businesses will decide to finally turn past due account over to a collection agency. Before hiring a collection agency in WV, here are some considerations to help make the best hire possible. 1. Is the Collection Agency Licensed in West Virginia? The first detail to cover before hiring a collection agency is to verify the agency is licensed to collect within the state of West Virginia. A business hires a collection agency that isn’t licensed who violates FDCPA could possibly be open to lawsuits. 2. Does the Collection Agency have Positive Reviews? When considering selecting a collection agency, check to see if they have positive reviews on websites such as Google and Facebook. While some negative reviews can be from salty debtors, read for reviews from businesses that actually used the collection agency. All collection agencies will have different success rates. While it may not always be possible to view the exact recovery success rates, most collection agencies will give a baseline of expectations for collections based a company’s industry and the age of the debts. Most debt collection agencies in WV will have a certain industry they specialize in collecting in. Understanding this fact will allow a business to find a debt collection agency that will get the best results possible. For example, hiring an agency that focuses on medical collections to represent a Propane company will not be the best and recovery rates will suffer. They are thousands of debt collection agencies located throughout the United States but if a business hires a collection agency that is based out of West Virginia then a business should expect better collection results. This is due to the fact that a local agency will have a better understanding of the debtors, the local economy, and collectors will be able to connect with debtors more easily. Yes, a company can hire a collection agency from India cheaply but how likely is a debtor in West Virginia to pay someone from a foreign country? For example, hiring a collection agency in Morgantown WV to collect for a Morgantown Plumbing Company will typically yield better results. If a doctor office based out of Charleston hires a Florida collection agency, they may see some success but the results will likely be less than a collection agency in Charleston WV. Furthermore, a local agency in Charleston will be available for face to face meetings which will allow for more trust between client and collection agency. 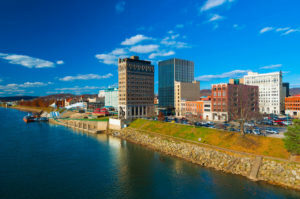 Collection agencies in West Virginia will typically work on a contingency rate. This means, if the collection agencies do not get paid then a business will not have to pay any fees to the agency. A contingency rate agreement provides collection agencies motivation to work hard to recover as much money as possible. Simply put, the more money a collection agency in Wheeling WV collects results in more profit for the agency. If a small business in West Virginia needs help, get a risk free quote now.